When Will YOU Become a Member? 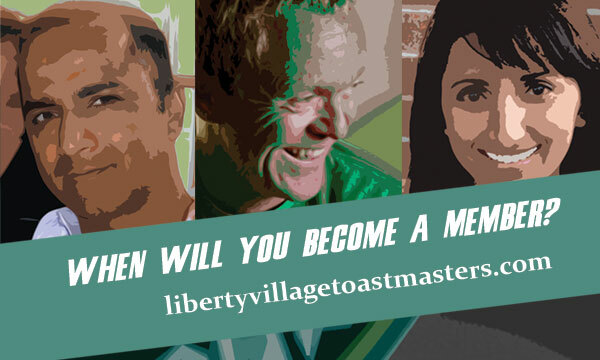 One of the best reasons to join Liberty Village Toastmasters is the unique mix of interesting people who make up our group. With members from industries like marketing, finance, and technology, there will always be someone interesting for you to connect with. Plus, with a seasoned group of Advanced Speakers, you can be sure that you’re learning from the best. There’s only one question remaining: When will YOU become a member? 1 Response to When Will YOU Become a Member?